As you can see from the match-ups above there will be plenty of NBA daily fantasy players worth taking a look at. As always, keep a lookout for high over-under games so you know which games you would potentially want to take more players from. As for the actual action on the sites, both FanDuel and DraftKings are running specials for the NBA Christmas games. FanDuel’s best tournament on offer is their $25 entry $300k Thurs NBA Santa Slam. While it’s not an outrageously large prize pool compared to the normal FanDuel NBA tournaments, it’s still definitely more than they would offer on a normal day that only had 5 games. If you’re gonna play one tournament on FanDuel Christmas Day, make it this one. DraftKings has a $20 entry $200k NBA Holiday Classic. While the prize pool isn’t as large as the FanDuel tournament, this tournament actually represents a big jump from the normal payouts and prizes for NBA on DraftKings. Normally their biggest Wednesday NBA tournament at this buy-in level is a $27 entry with only a $100k tournament. In addition to this tournament, DraftKings also has a $25,000 Refer-a-Friend Christmas Day Contest. You can only gain entry to this tournament by referring a friend to DraftKings before Thursday, but once you do both you and your friend will have access to the tourney. Not only is this a great time to introduce your friends to DFS, it will also end up being a really great value as there will likely only be a few hundred players in the whole tournament. 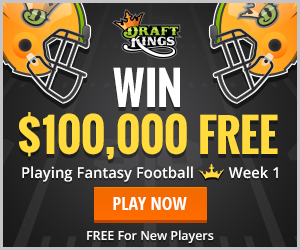 The value of your entry could easily be more than $50 and it’s a nice way to introduce someone to NBA daily fantasy since they will be playing for big prizes with nothing to lose. Wherever you end up playing, get a team in, relax and enjoy the holidays – and hopefully win some extra cash too!